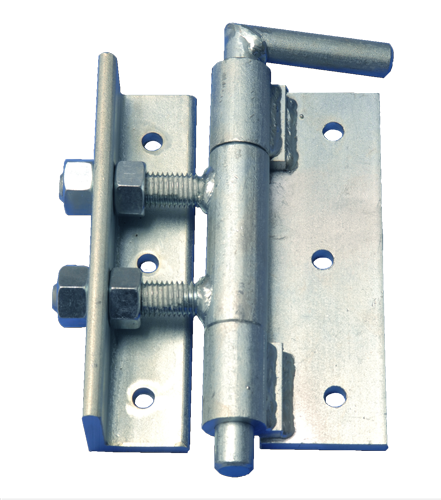 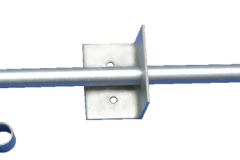 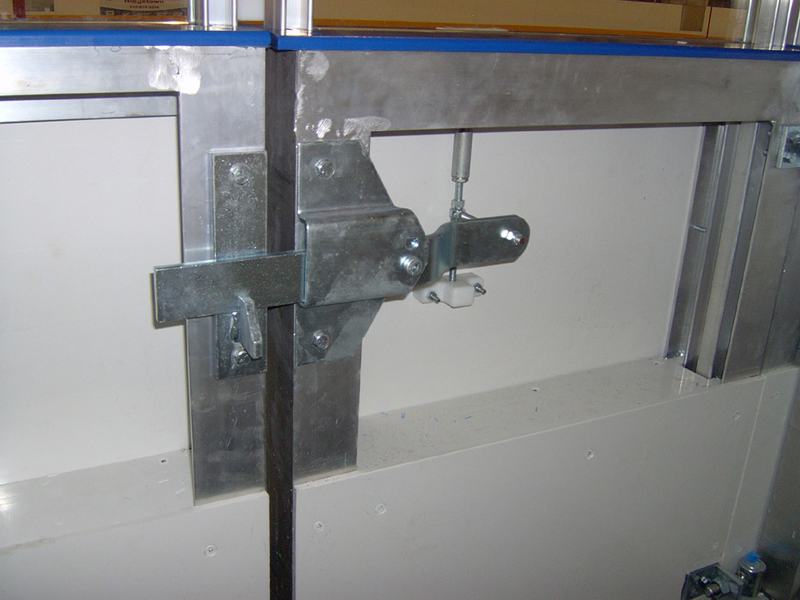 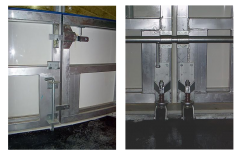 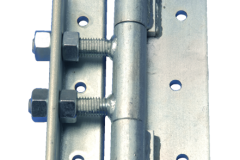 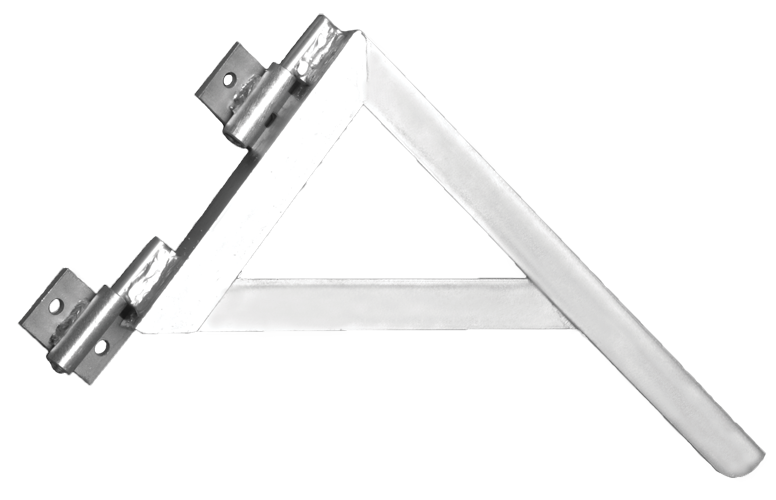 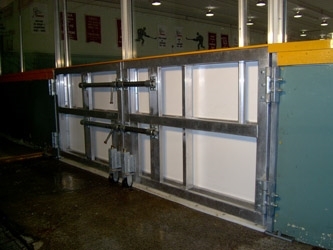 Sound Barriers built-on-site dasher systems are steel post on anchor plate construction with either wood or steel stringers and aluminum gates and removable sections covered with HDPE puckboard. 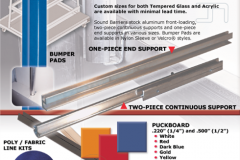 Top sill and kick plate are available in a variety of colours. 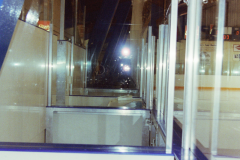 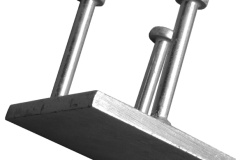 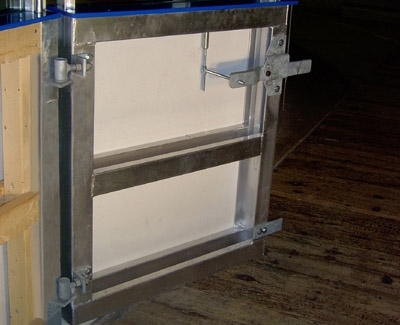 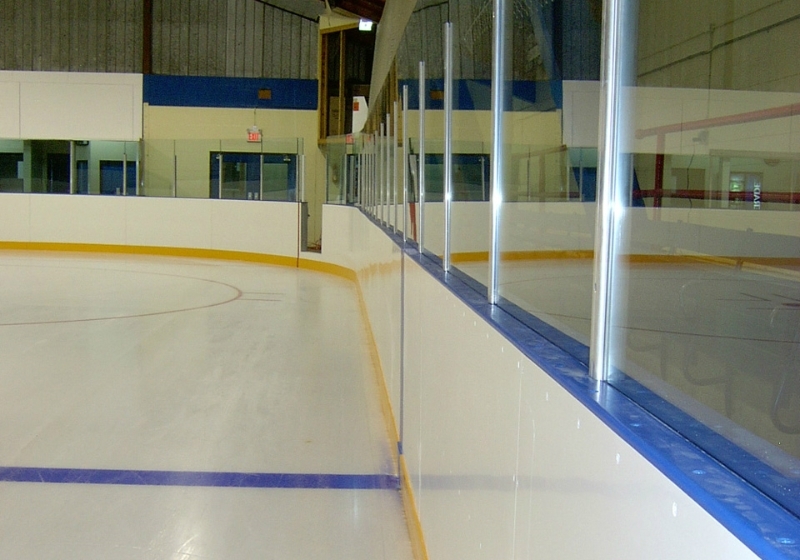 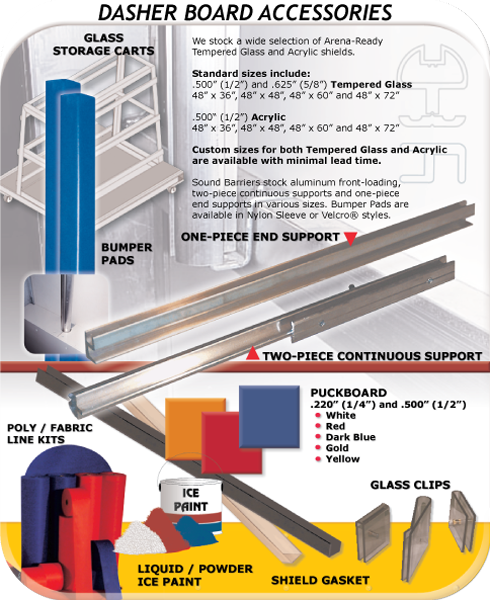 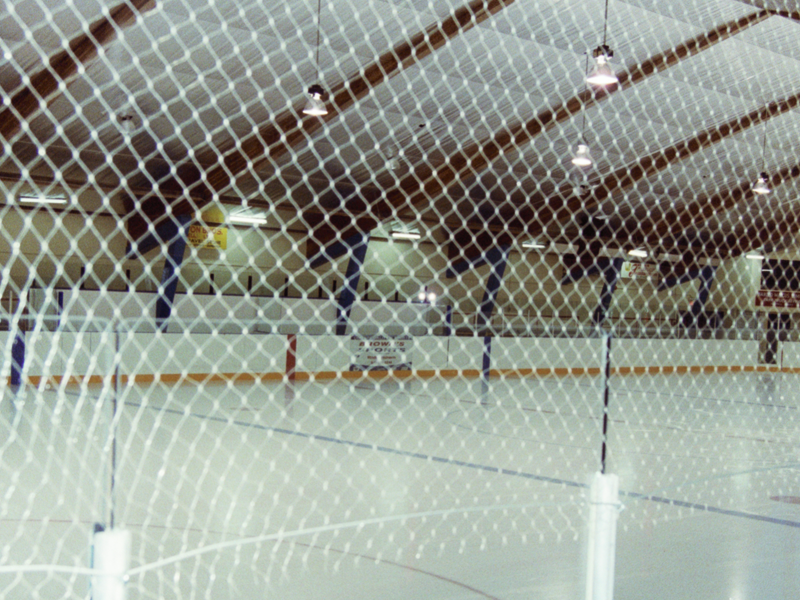 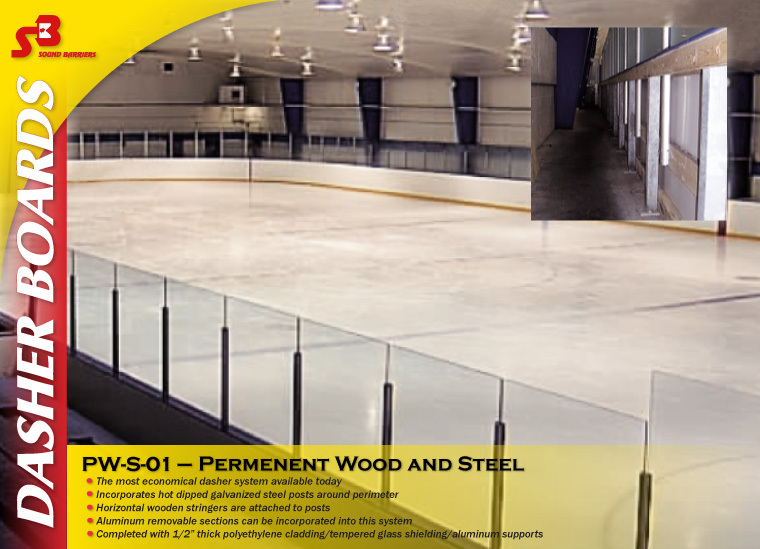 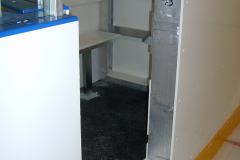 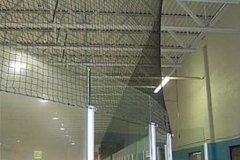 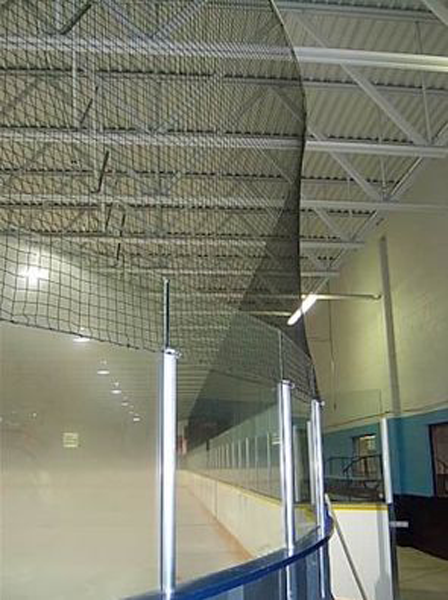 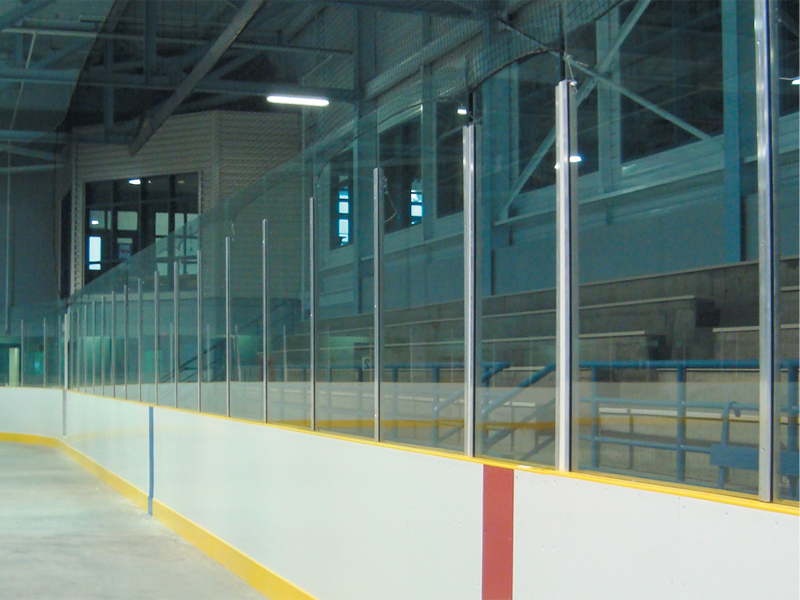 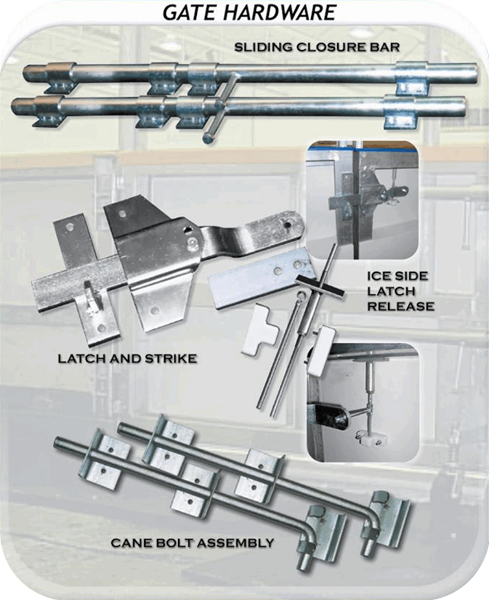 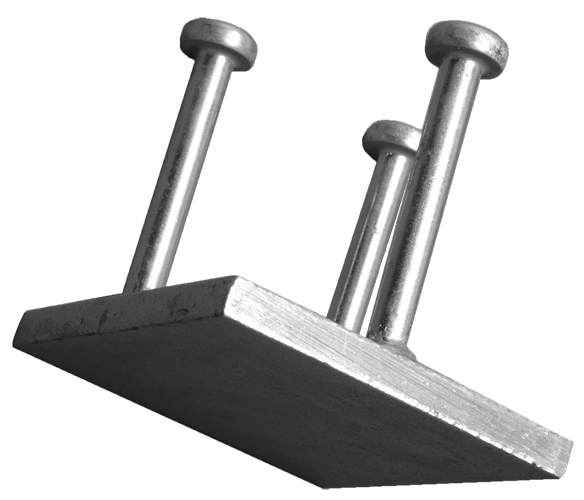 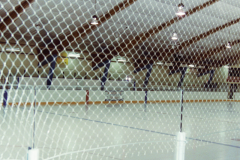 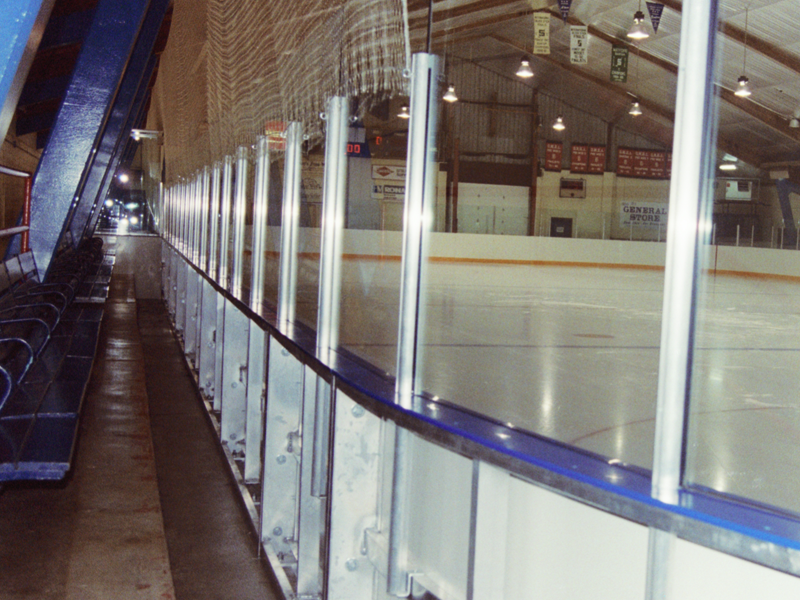 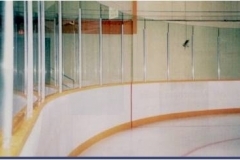 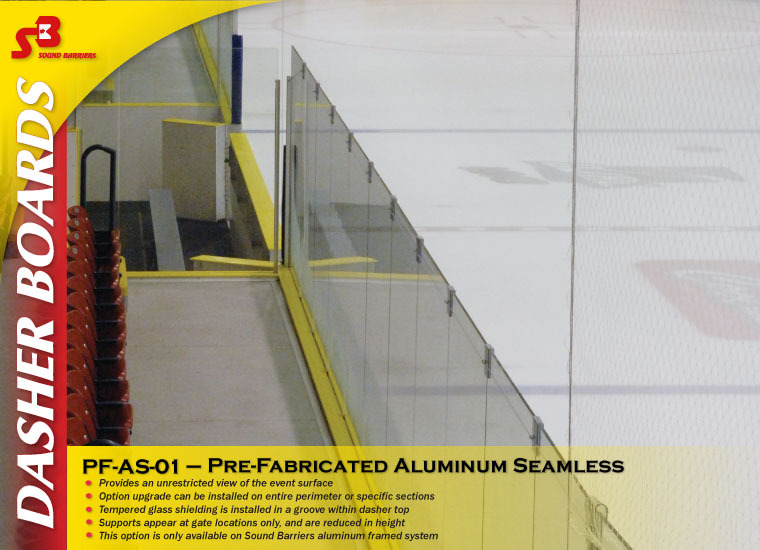 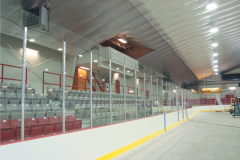 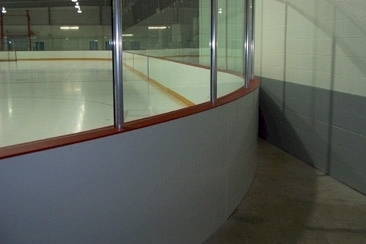 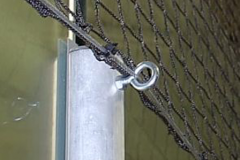 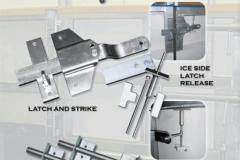 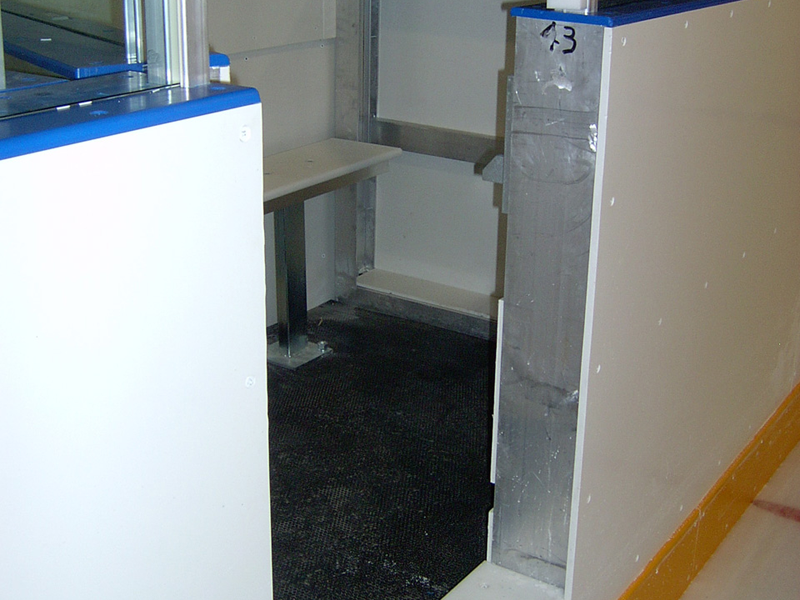 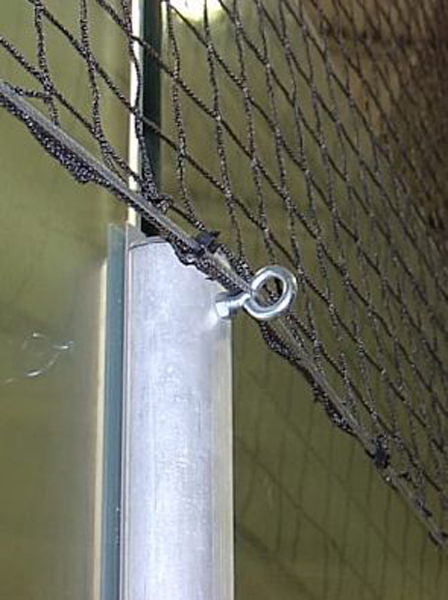 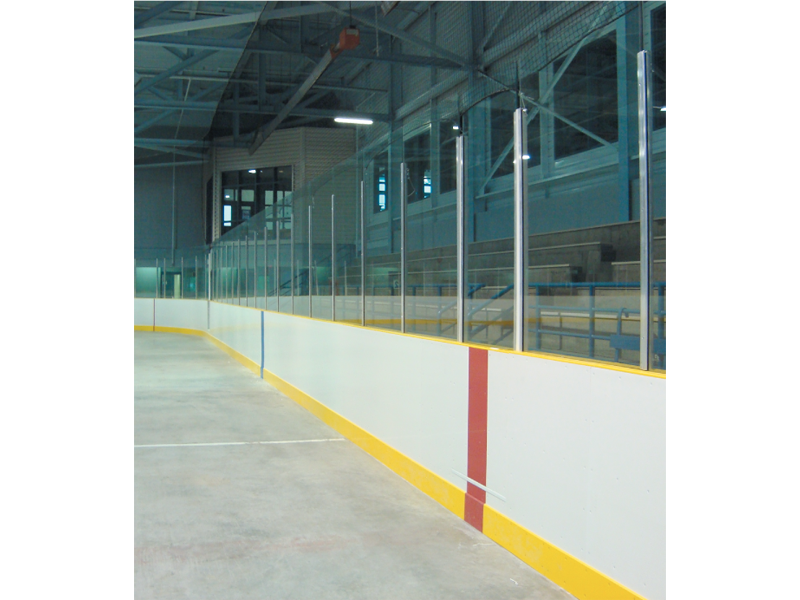 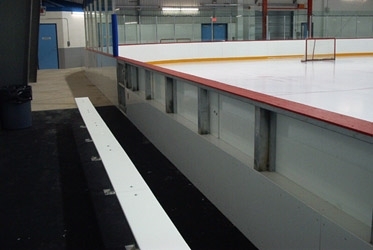 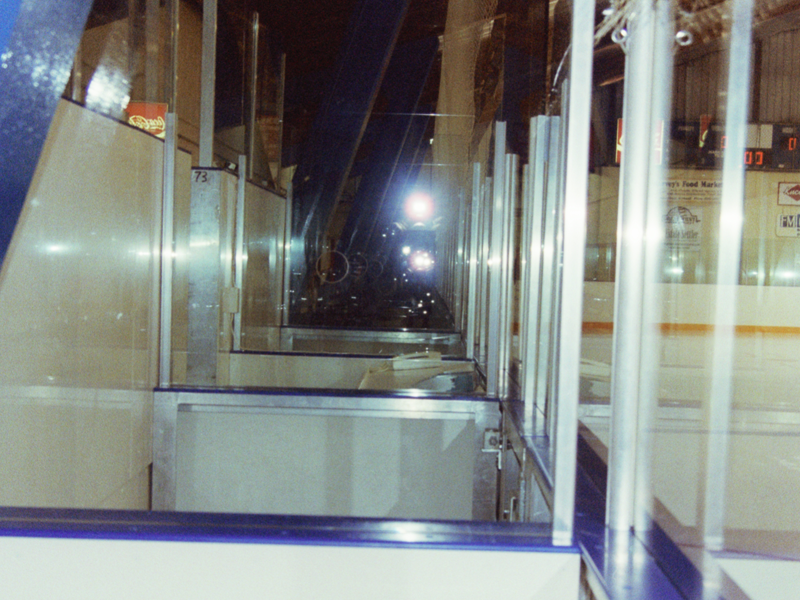 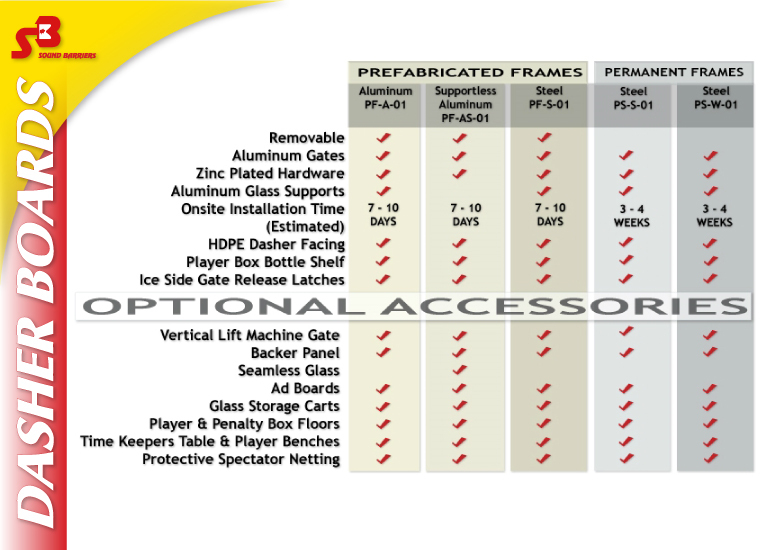 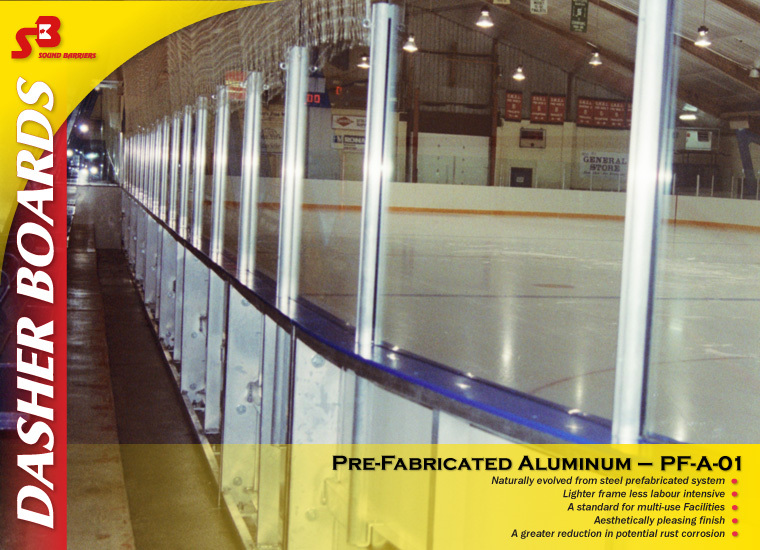 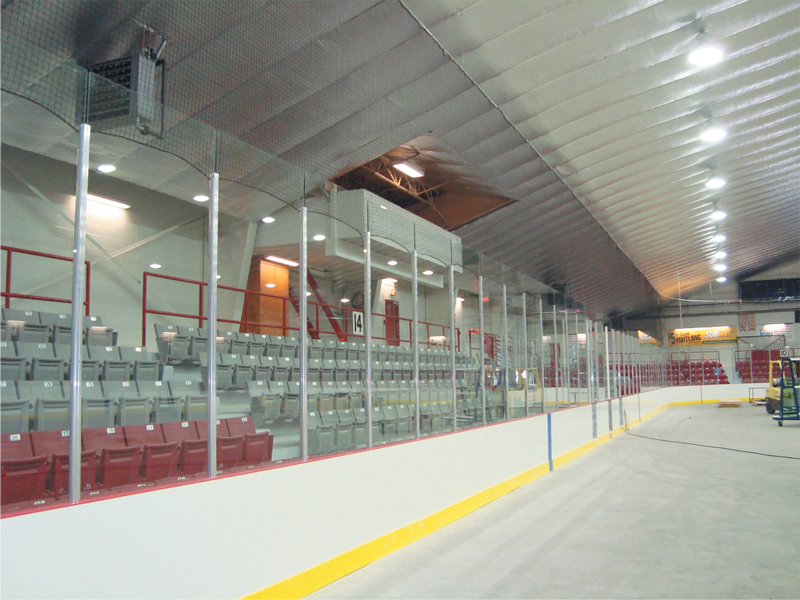 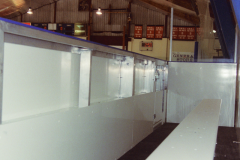 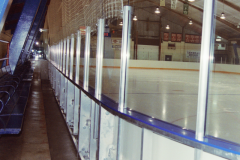 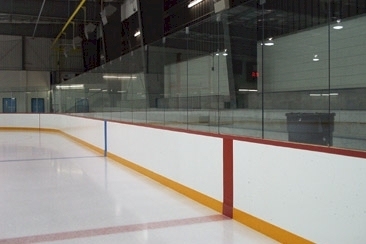 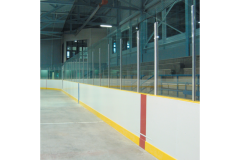 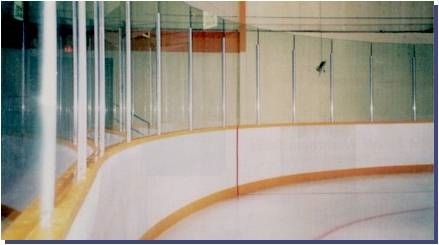 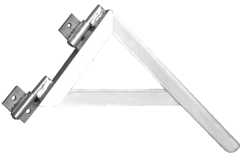 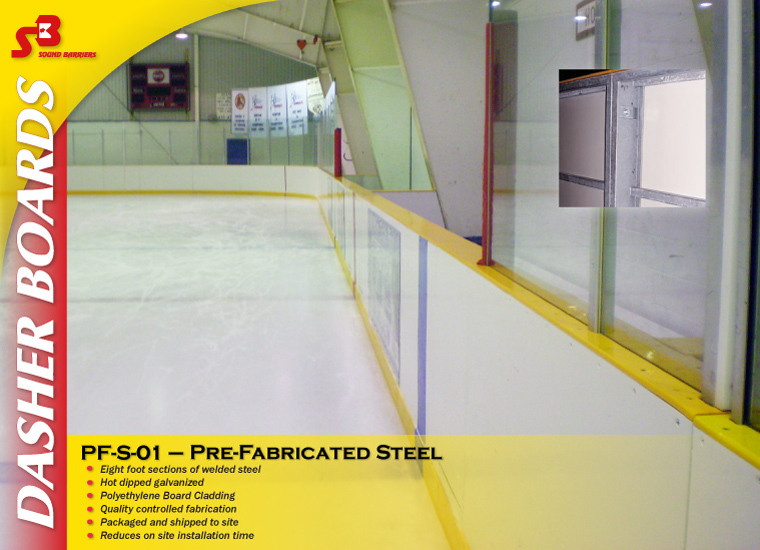 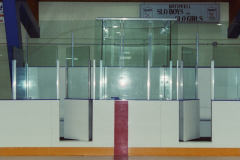 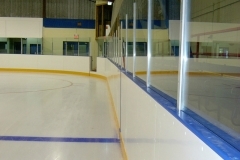 Arena shielding is available in tempered glass or acrylic with aluminum supports and gasket. 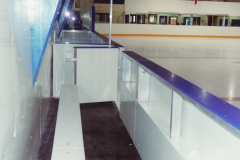 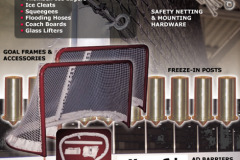 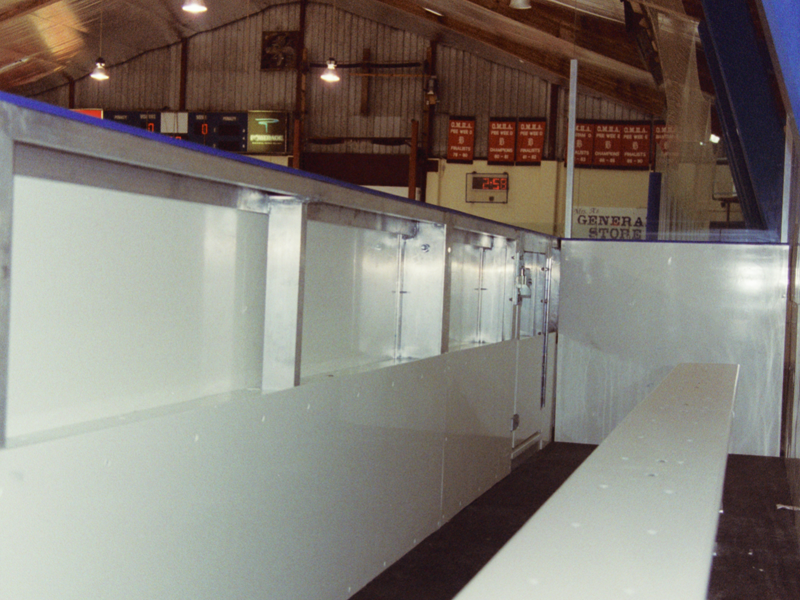 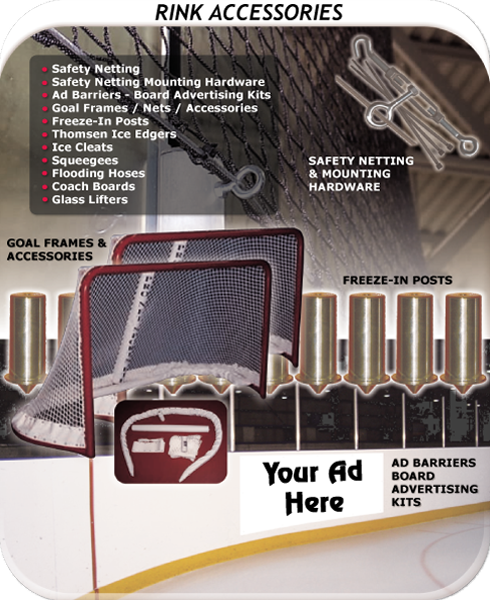 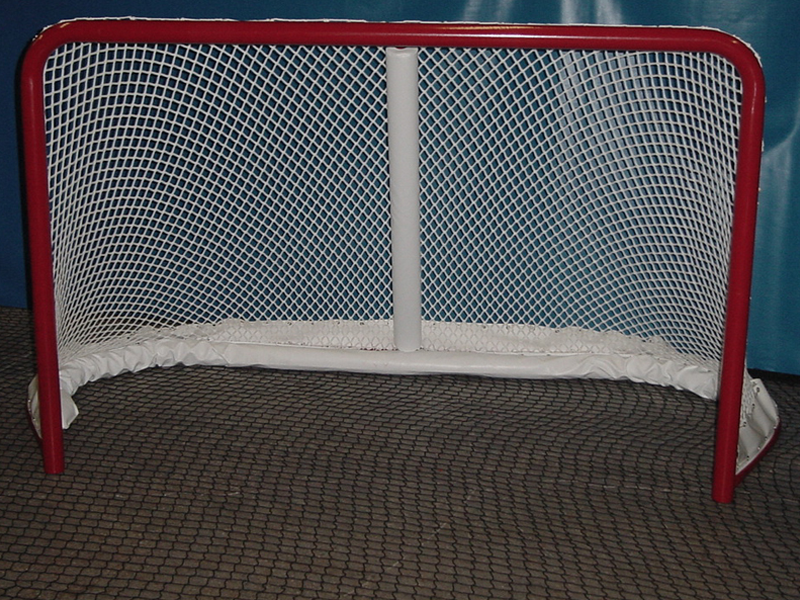 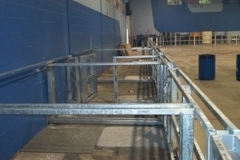 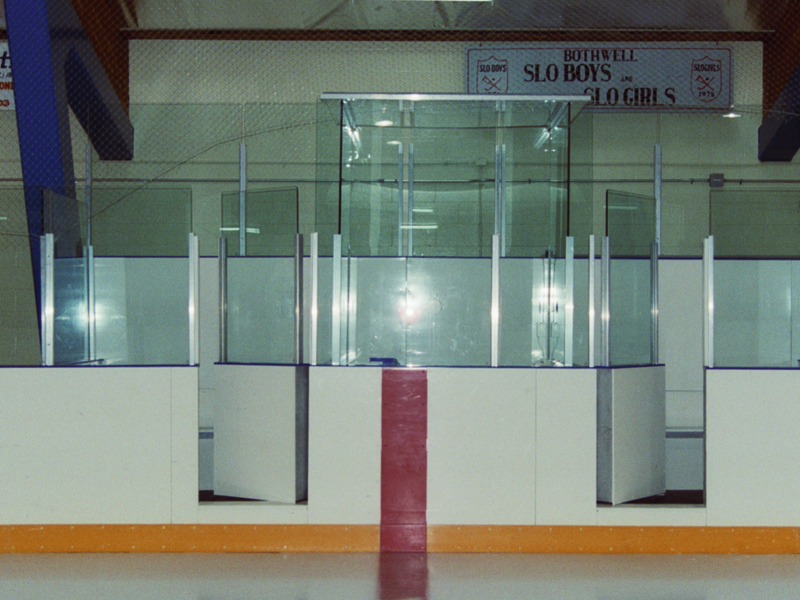 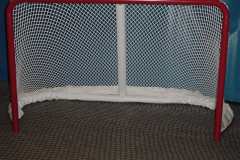 Optional items include player/penalty box bottle shelf, benches, timer table, and safety netting. 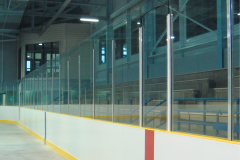 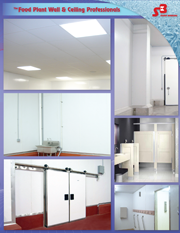 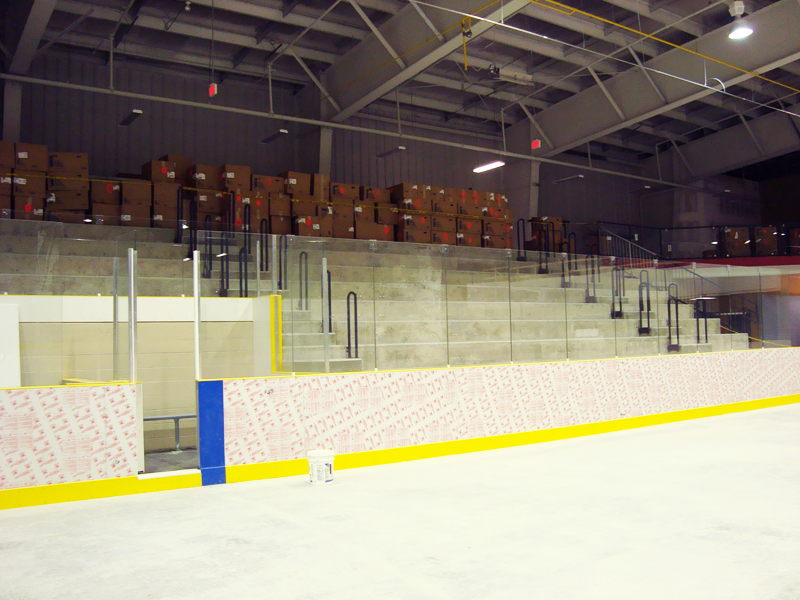 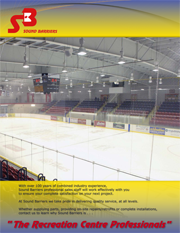 Sound Barriers will work with you to provide design options to fit your budget and facility requirements. 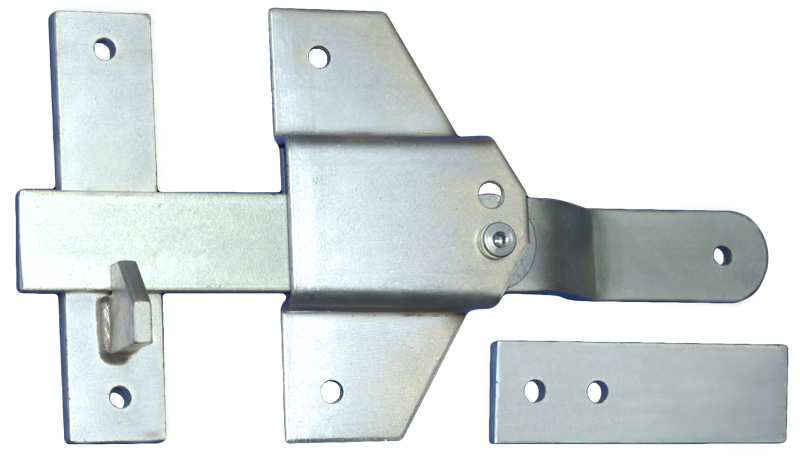 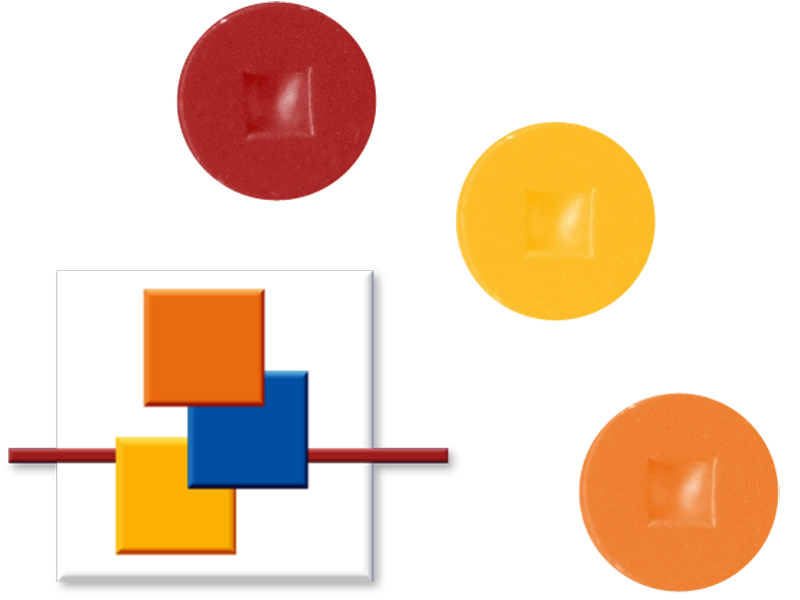 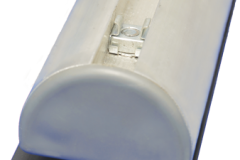 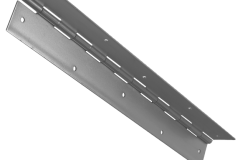 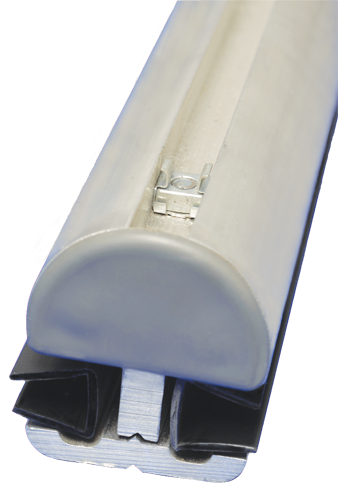 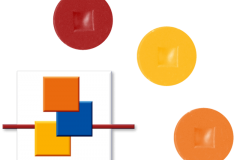 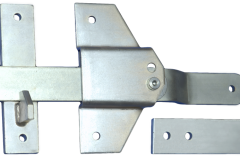 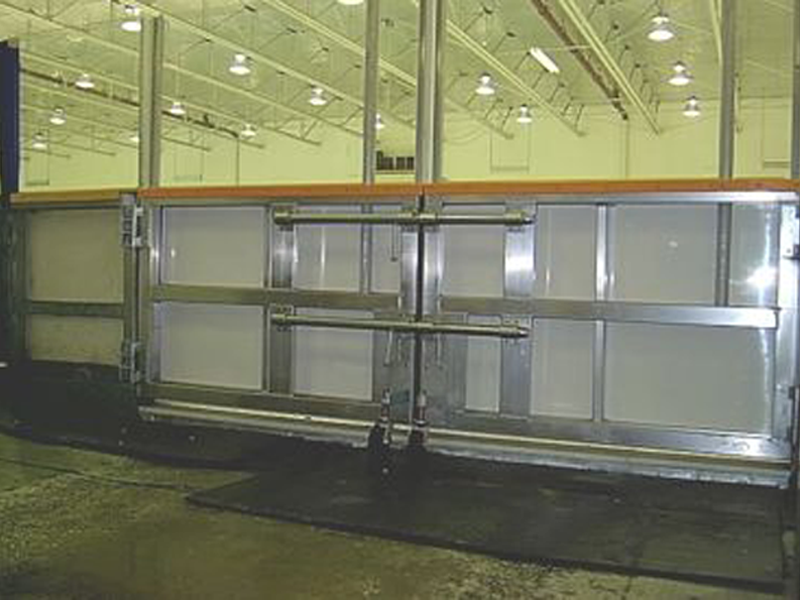 Sound Barriers dasher systems can be modified to integrate into your existing dashers should you only need to replace specific areas. 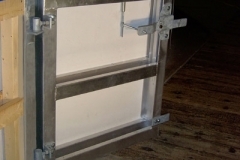 Aluminum gates and removable sections are custom manufactured to fit existing openings, or can be sized to meet your requirements. 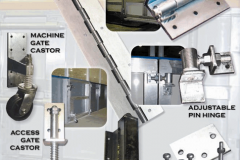 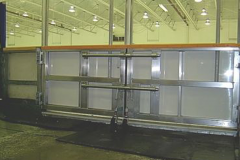 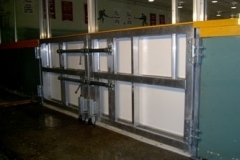 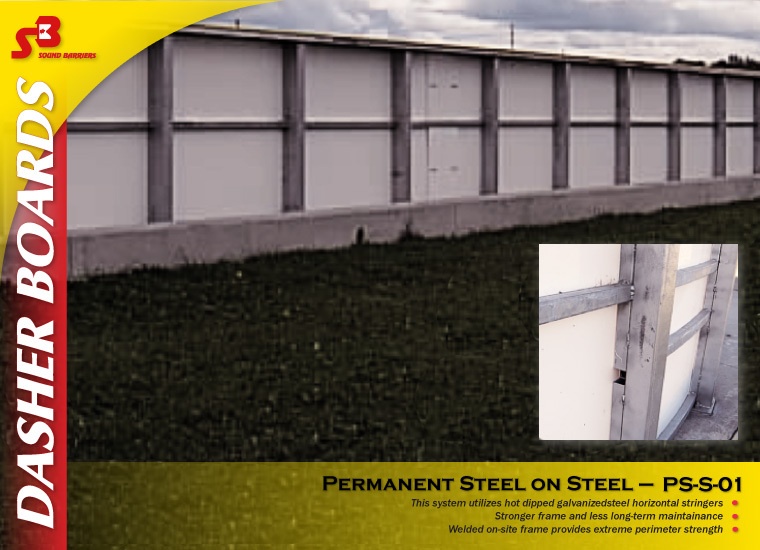 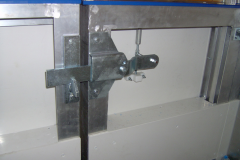 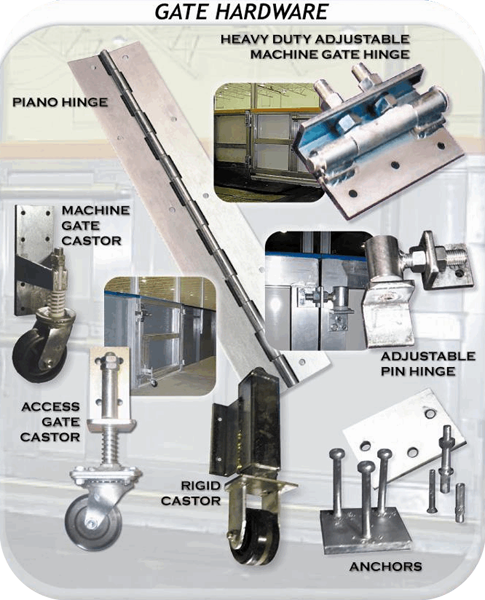 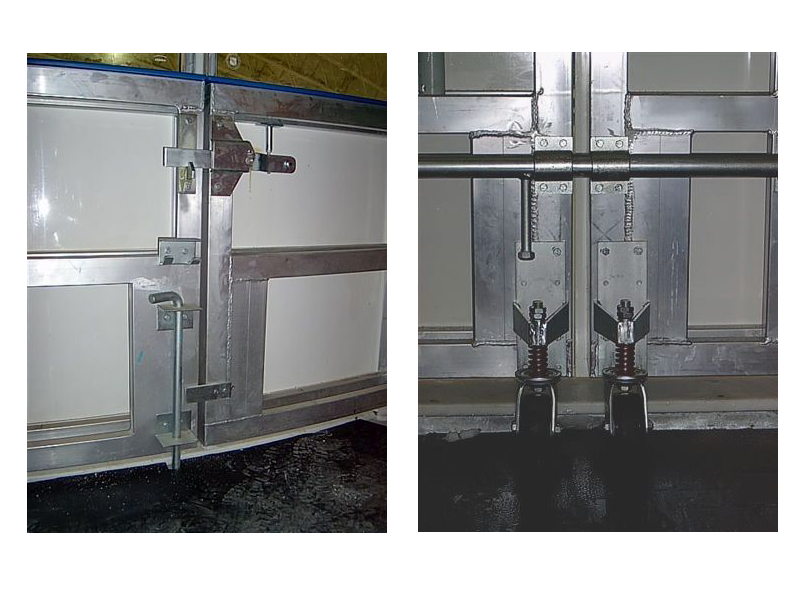 Sound Barriers prefabricated dasher systems are steel or aluminum construction. 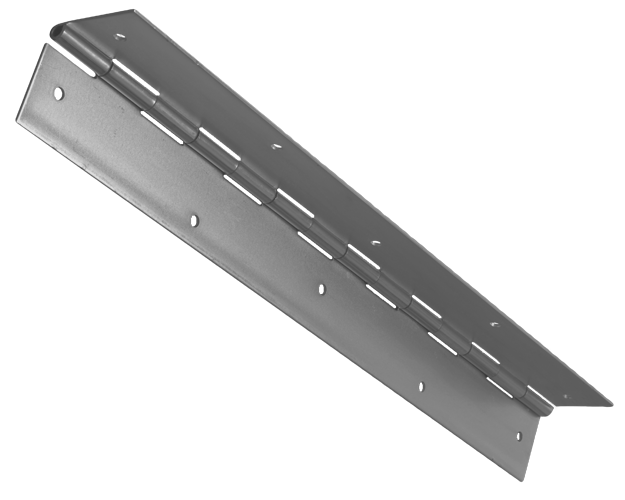 Top sill and kick plate are available in a variety of colours. 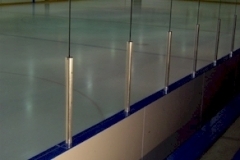 Arena shielding is available in tempered glass or acrylic with aluminum supports and gasket. 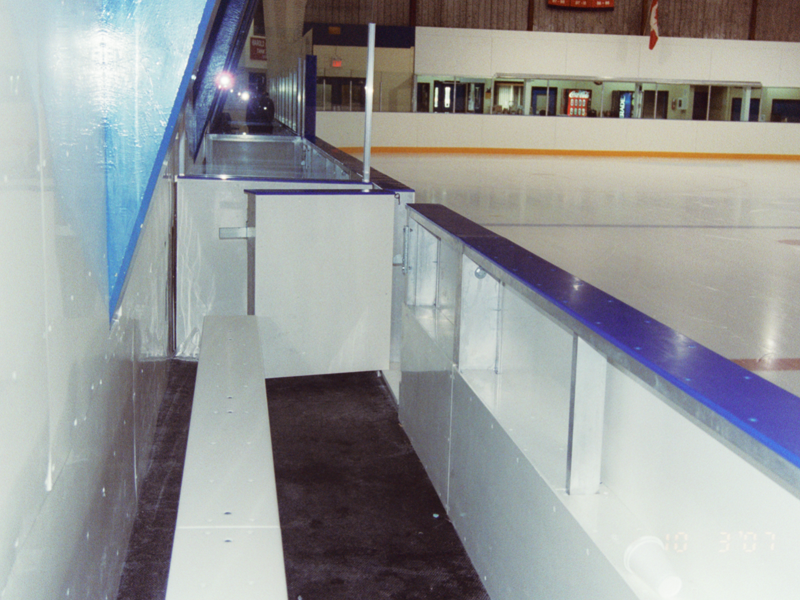 Optional items include player/penalty box bottle shelf, benches, timer table, and safety netting. 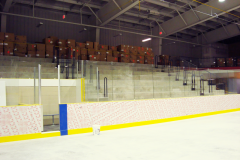 Sound Barriers will work with you to provide design options to fit your budget and facility requirements.